We got engaged after being together for about 2.5 years. How long were you engaged? What made you decide to elope? To put it simply: the thought of planning a gigantic, expensive wedding nearly sent us both into cardiac arrest. We both have big families, and friends all over the world, so it would have been a lot to plan and manage. 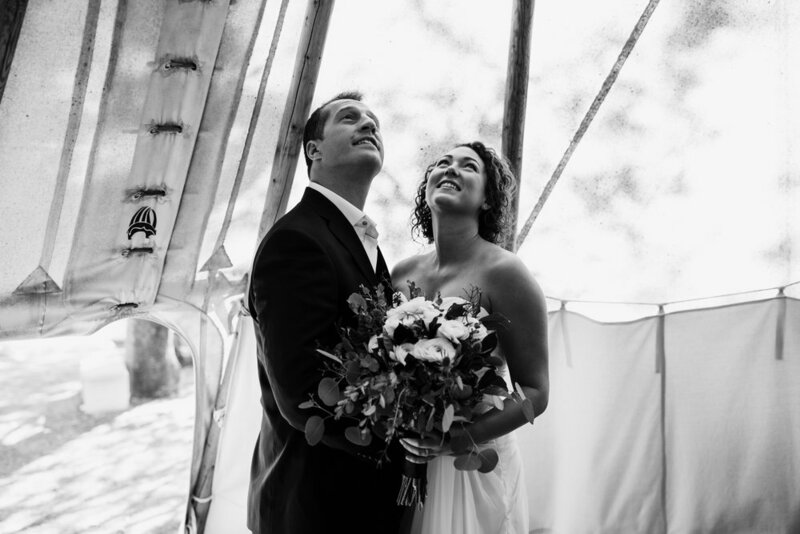 We are both pretty introverted, and getting married is a big, emotional thing! 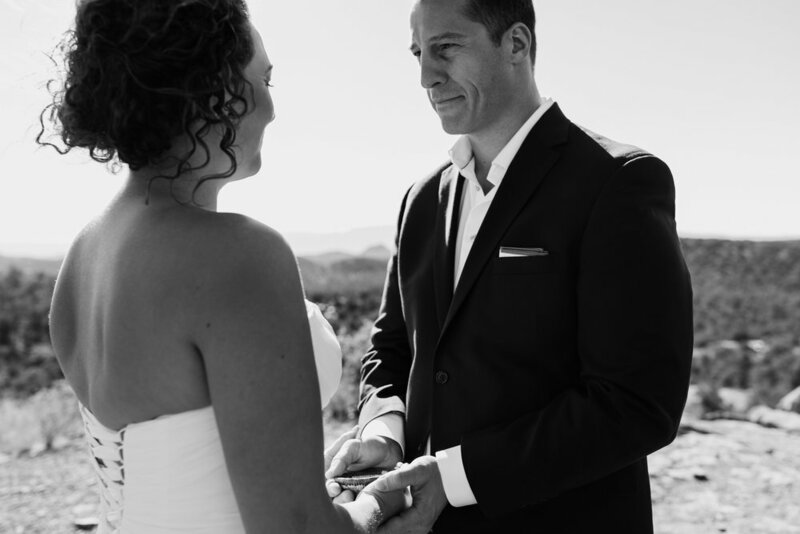 We knew it would be hard for us to balance our emotions and to give each-other 100% of the attention and love that we wanted on this special day, with all the planning, socializing, coordinating, etc. 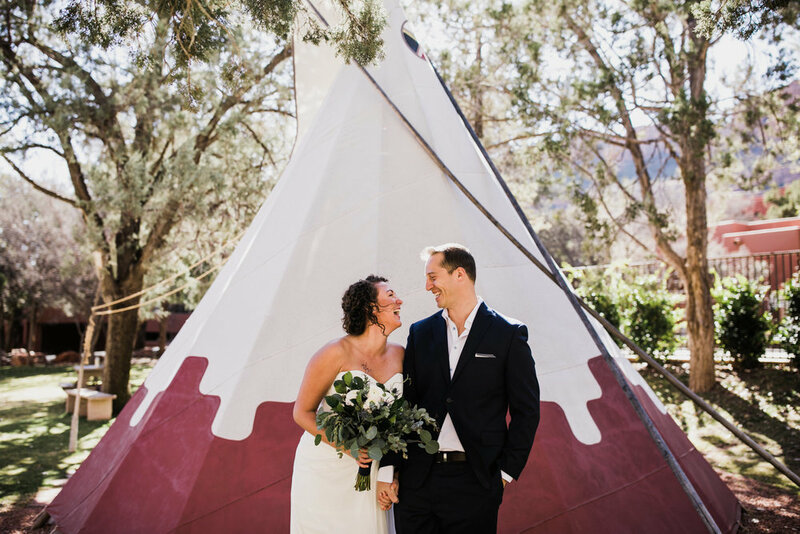 we were actually only able to really make the decision to get married when we had taken the idea of a big, traditional wedding off the table, and focus on how amazing and special an elopement could be. 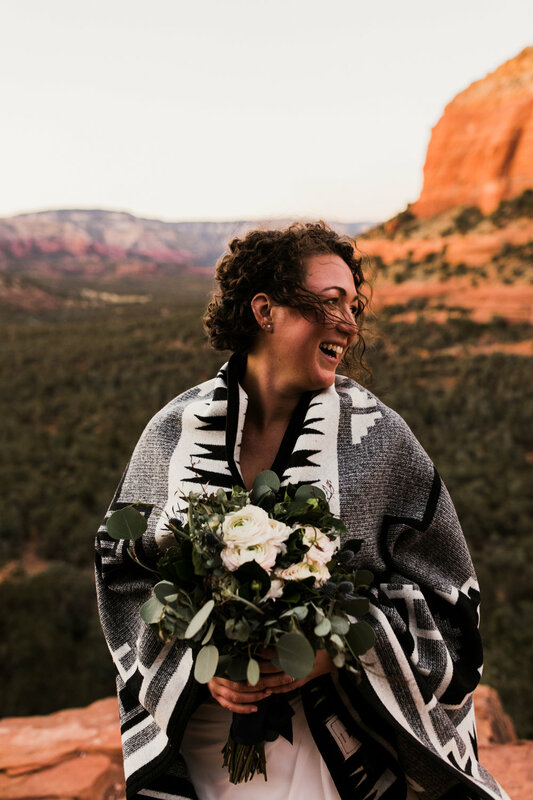 Why did you choose Sedona, Arizona? 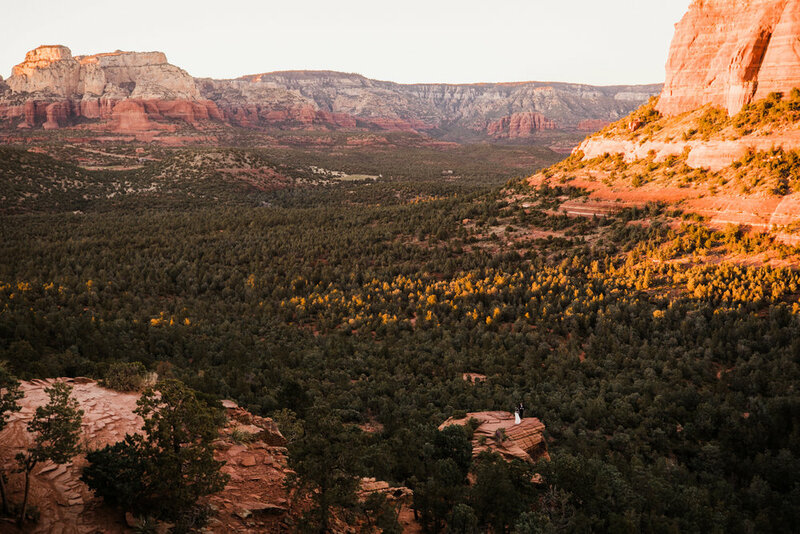 We road-tripped to Sedona about 1.5 years prior, and had just been awe-struck by it. It had a spiritual quality that we connected with right away. It feels so tranquil, calm, and quiet. 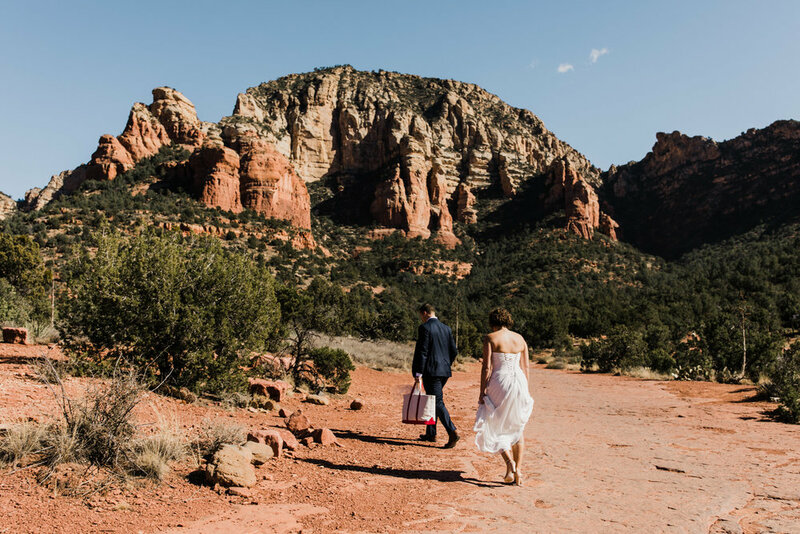 Also, one of our favorite things to do together is go hiking - there are so many trails in sedona and each feels different and unique. Lastly... we love road trips, and wanted to choose somewhere it would be easy to go back to and celebrate our anniversaries and special occasions. 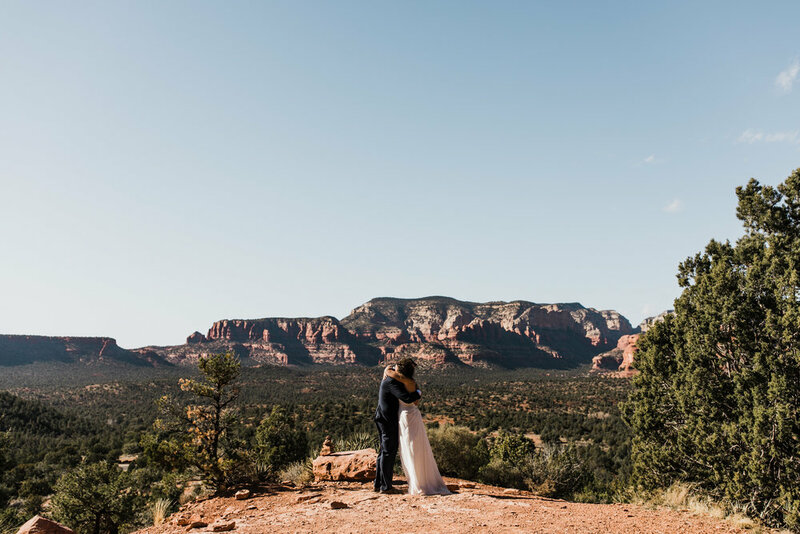 Sedona is a 6.5 hour drive from our home in San Diego, which is perfect. Tell us a little bit about your ceremony. What led you to this style of ceremony? 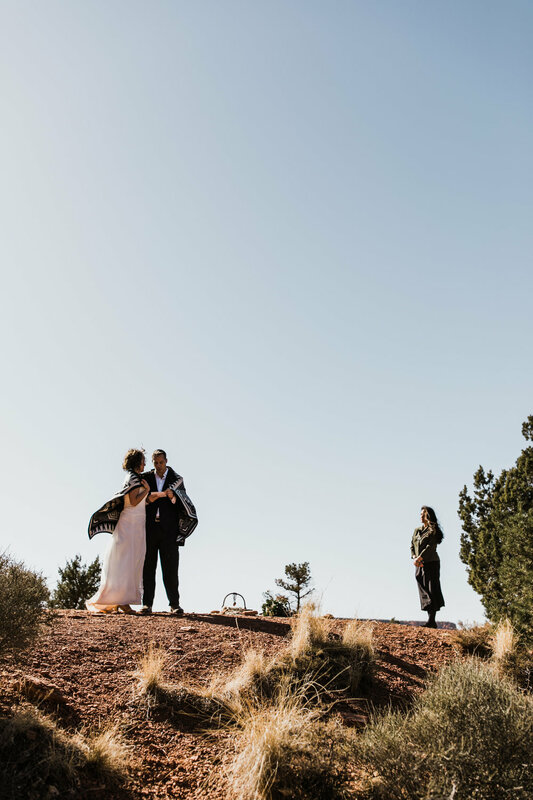 We knew we wanted to get married outside - that was really our one non-negotiable - even though we knew that Sedona can get pretty chilly in the winter (we were so lucky though, and had mid-60s weather all week including our wedding day!). Neither of us are religious, but we are both spiritual; While we wouldn't have felt comfortable with a religious ceremony, we also didn't want a super "dry" or formulaic civil ceremony. 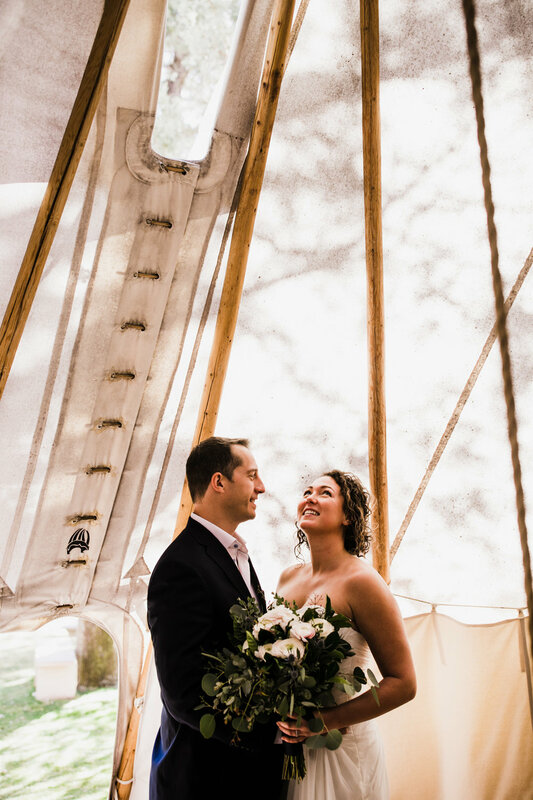 Our officiant Shanadoah incorporated some First Nations blessings and traditions that added personalization, an element of spirituality, and really spoke to the nature and tone of our relationship. My favorite part of the ceremony was the marriage blanket blessing. We have the blanket in our family room now, and every time I see it, it makes me so happy. Carly, what was your favorite moment from your wedding day? Bob reading his wedding vows to me, on Devil's Bridge. Bob, what was your favorite moment from your wedding day? Everything. the whole thing felt so easy. Were there any surprises or unexpected moments? Our impromptu 4x4 off-roading trip in the Jeep, which took us from the ceremony location to the trailhead. 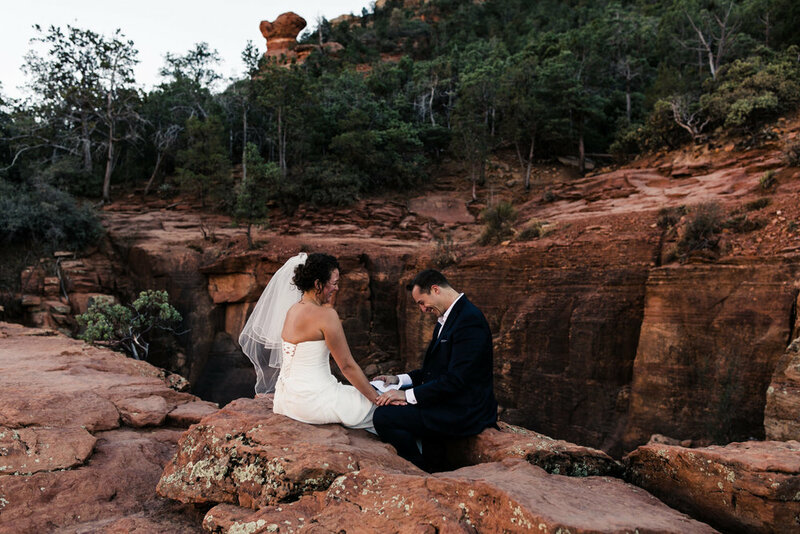 Then, realizing that the "hike" to Devil's Bridge was actually quiteeeee intense, and basically having to do it in a corseted wedding dress! Luckily I'd had a glass or two of champagne and wasn't too fazed by it - ha! Carly, what was your favorite photo from your wedding day? The one of me and Bob laughing as we sign our marriage certificate. Bob, what was your favorite photo from your wedding day? The one of us wrapped in our marriage blanket, looking out over the valley beneath us. Looking back, was there anything you would’ve done differently? No. Since the wedding, we've said that if we'd been given a million dollar budget, nothing we could have done would have been as special as our day. The whole thing was PERFECT. Do you have any advice for newly engaged couples? Before you commit to doing anything one specific way, think about if you really want to, and what the alternatives might be like. I never thought I would elope, but as soon as I realized it was an option, it felt inevitable, and it was full-steam ahead! Aren't they amazing? I loved when Carly said "Since the wedding, we've said that if we'd been given a million dollar budget, nothing we could have done would have been as special as our day." That honestly made me tear up. I loved this little interview process - if you did too, let me know your favorite questions or if you have suggestions for what I should ask future couples! I am going to try to incorporate this into more blog posts in the future!